You’ve probably read all of the statistics about startups, and how the majority of them tend to fail. You don’t want to become one of those numbers – of course, you want to succeed as much as possible! So how can you do it? Here are seven tips that you can’t ignore. Make sure that you have a clear and realistic strategy going into this process. You should have a solid business plan as well as an idea of what you need to do within your first month, six months, and year to stay afloat. Plan for the worst possible scenario – because the best scenario probably won’t happen. The entrepreneurs that succeed don’t do it overnight, and they don’t do it while taking a relaxing holiday. Those who do make it are the ones who are prepared to work evenings, weekends, birthdays, and holidays to get the work done. You will have to work harder than you have ever worked before to get your company off the ground – and you might have to stay that way for several years before things calm down. If you aren’t prepared to do that, you will fail. In the beginning, you might operate as a sole trader. But sooner or later you will need to have a team around you, even if it’s just a good accountant and a PA or receptionist. Make sure that you hire good people, who are reliable, experienced, and eager to work. Hiring the wrong people can be a very costly mistake, especially if they end up harming the reputation of your company. Whether you’re a retail store, an office-based company, or even a production site, you will need a office space to work from. This is essential for meeting clients, working without distractions, and providing a workplace for your team. Make sure that you get the golden combination of a good location with a fair and affordable lease. You don’t want to overstretch yourself too soon – or end up failing because no one can reach you. You need a web presence, even if the services you provide are only available in person. The vast majority of consumers are using the internet, and more importantly, using their mobile phones, to make decisions. This means that you need to be there in order to get their attention. At the very least you need a responsive website with your contact details and information about your products or services so consider hiring a digital marketing agency to improve your visibility. You also need to be present on social media, ideally before you even launch your business. Claim your profile names early and register your domain name, then focus on serving content that will be interesting to your future customers and building up excitement. Put up a simple landing page on your domain to collect email addresses. When you are ready, list a launch date. On launch you can involve everyone who has already followed and subscribed, guaranteeing far more sales. It’s important that you listen to customer feedback right from the beginning. They will always tell you where you are going wrong, especially if you ask for it. But you should also listen to what your potential future customers are saying. Read reviews on rival companies and search for relevant terms on social media to find out what they are saying, and react accordingly. 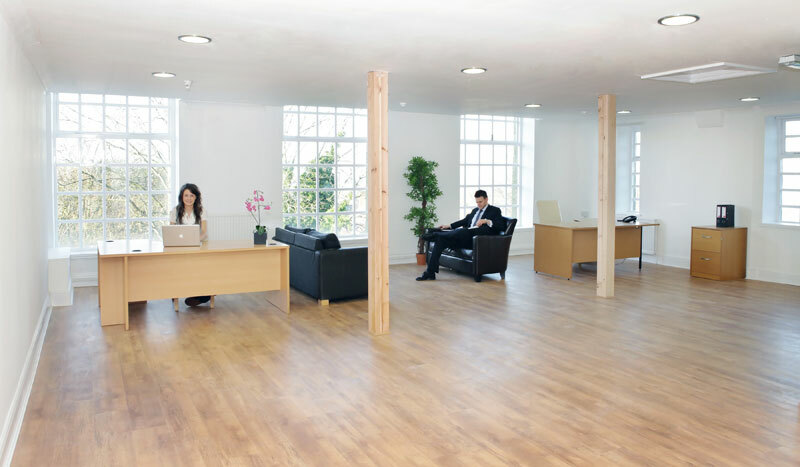 If you are searching for your next office space, the area around Rainow is an excellent choice of location. It has the best of both worlds: the proximity of Manchester’s busy commerce hub, combined with the more beautiful surroundings and cheaper rents of the countryside. All this with a healthy heaping of local history makes it a great business base. The area around Rainow is popular with commuters because the transport links, by road or train, are fantastic. It’s easy to head into Manchester, and by extension, it’s also easy for people to come to your business. This means you can expect high footfall at a lower price. What you may be extremely interested to learn is that these office spaces near Rainow also offer additional opportunities – great for your future expansion. Because there are lots of different companies all trading inside Adelphi Mill, there are plenty of possibilities in terms of business deals and partnerships. This could take your company to the next level – and you will also see increased footfall from customers who are already going to visit the other businesses. Coming to a managed office building also means taking advantage of lots of amenities that come with the package. While Adelphi Mill may be a Grade II listed cotton mill, that does not mean it is not modern on the inside. The recent multi-million-pound refurbishment has seen to that! You and your team can access a free parking area, passenger and goods lifts, landscaped grounds which are taken care of year-round, security around the clock, an on-site café and gym which give preferential rates to fellow tenants, and so on. Saving money, accessing more opportunities, and getting more for your rental fee – with all of these benefits, anyone can see that there’s no real reason why you shouldn’t look at taking up offices to let near Rainow today! Make sure to get in touch with our dedicated team who will be able to advise you on the space we have available to suit your office needs and requirements. Running your own business is a definite trend for 2019 and beyond, with more and more people seeing the benefits of becoming a freelancer or entrepreneur. With so many people choosing this lifestyle, however, competition is rising fast. How do you make your SME start-up stand out in this climate? Here are six quick tips to ensure that you are not just a flash in the pan. With so many companies out there, you need to be sure that yours is the one that gets remembered. You can do this through consistency in your brand image and identity, making you instantly recognisable. Look at setting up all of your social media profiles to match, using the same colour scheme and fonts on all of your materials, having a tone of voice, and also aligning yourself to a viewpoint. Consumers now want their brands to have opinions – so don’t be afraid to weigh in on big issues. More customers than ever before are now shopping online through mobile devices. This means that your website needs to be up to date and work well on mobile screens – as well as tablets and laptops. You don’t want to lose a sale because your shopping cart button is too small to press on a smartphone. You must also keep up to date with social media to bring those customers through to your site in the first place. If customers want something, they are more accustomed than ever before to searching for it. Especially if you provide a physical service, you must be listed on Google Maps – and even for online-based companies, it’s a good idea to get yourself on there. Google will return local businesses first when a certain area or type of company is searched, so this way you can hook more local customers and be more visible. Your overheads are a big burden to carry, so make them as low as possible. Finding the most affordable office rent will keep you in business for a lot longer, especially if you are slower to grow than you expected. Even the best-laid business plans may take time to come to fruition, so keep those costs as low as possible while you can. If you’re looking for office space to rent in the Macclesfield area then why not check out Adelphi Mill? What is the latest trend in your industry? If you don’t know the answer confidently, then you aren’t making any waves. Not only should you follow trends, but you should be trying to get out ahead of them. Predictions are made months in advance, and if you are known for always having the next big thing first, it will build a lot of consumer trust. One of the best ways for SMEs to grow is by working with one another. Where possible, collaborate with other businesses who share a similar customer demographic. Whether you offer discounts to one another’s customers, create shared products and services, or just advertise each other for referral bonuses, you will be in a great spot. Get involved in your local community, and people are going to remember your name. They will also start to see you as an arbiter of taste, someone whose recommendations can be trusted – and that brings a lot of selling power along with it. Spring is a time for new beginnings, so why not use it as a chance to move into a new office space? It will free up room for your business to expand, as well as giving you a whole new lease of life and getting our employees excited. Convinced? Here are seven tips you should follow to ensure that all goes smoothly. Don’t choose an office space which is just as big as you need it to be right now. Go a bit bigger! Try not to spend more than you can afford, but leave room for expansion later. This will allow you to grow your team and add more desks without having to seek another move. It’s even better to find a flexible space where you will be permitted to rent a larger room within the same building later. Make sure that you talk everything through and avoid any hidden fees which may be lurking. 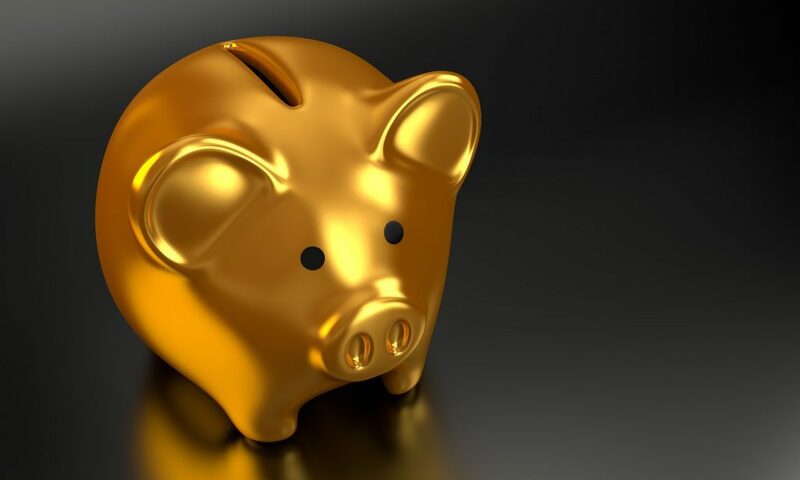 You’re better off going with a company that does not have any hidden fees in the first place, as this way you know that you will be in good hands. Should fees suddenly start getting added to your rental bill, consider aborting the deal and going elsewhere. It’s really important that customers can still contact you even during your move. You want to do it with the least disruption possible, so consider getting your new office set up as much as possible before you leave the old one. Change your address on your website and all correspondence early, and get the phone lines changed over as well. They should be ready and waiting on the day you open the new office for the first time. Moving can be expensive and time-consuming, and each of these factors only increases based on how much you have to take with you. Boxes of files, cabinets, old pieces of furniture and equipment – do you really need all of them? Now is the time to assess that need. Get rid of everything that is not essential and start again. Throw it away or give it to charity, or sell it if it is in good working shape. Now is also the time to make big changes in the atmosphere and layout of your office. It could be easy to just set everyone up back the way they are, but is your office at its highest possible efficiency? Move peoples’ desks to pair them up with other workers, consider changing how your departments are arranged, or bring the boss out into the open office. These are all things that can affect how your employees work. If possible, have it arranged so that the company you are renting from will organise the moving for you. This will help to take a load off your mind and allow you to concentrate on making the transition more smoothly. Finally, remember to think about location before you commit to your new office. Is it going to be easy for all of your employees to travel to the new office? Is there parking on site? Will your customers be able to reach you just as they did before? Could you even find a location which might bring new opportunities, such as inter-tenant trading or higher footfall? Business looking for a new office space will find themselves at home in the area in and around Kettleshulme. This location is close by to the busy commerce city of Manchester, with easy access by train or road, making it a great place to capture both customers and employees. This is a hugely popular commuter area, which is why the nearby Adelphi Mill is so well-placed. You get the benefit of being near to a great city but with much lower rent, giving you the best of both worlds. While Kettleshulme is a small town of just over 350 residents, it is one of many nearby settlements of various sizes. This part of the country is dotted with many such towns and villages which are suitable homes for commuters, who might work in the city but prefer to shop closer to home. That’s one of the reasons why retail or service businesses will find a lot of success at Adelphi Mill, whilst also saving themselves a lot of money. Paying the exorbitant rates of the city centre is pointless for most companies, as you won’t get as much additional benefit as you expect. This is a great way to go out of business fast! Instead, saving money with the lower rents – as well as lower transport fees, and free parking – available at Adelphi Mill is the smart way forward. The office space near Kettleshulme also allows you to find new opportunities which you would not discover elsewhere. Adelphi Mill is home to a large number of companies, all of which present potential business deals and partnerships. You might also be able to sell your services or products to the employees who work in the rest of the building, not to mention the high amount of footfall from customers who are already visiting. Inter-tenant trading can offer great potential, and it feels more like being part of a community here in Adelphi Mill. That means that people are more willing to work together, and you will get a higher rate of job satisfaction for your employees thanks to the pleasant working environment. The other advantage of coming to a managed office facility is the added extras that come along with it. We have plenty of those here at the mill, which has recently undergone a multi-million-pound refurbishment. The inside is now fresh and modern with all the conveniences that you could need, while the exterior remains the grand, impressive Grade II listed cotton mill. Kettleshulme is also home to another mill, the Lumbhole Mill, which sadly is no longer in use. It has been kept in good working order but is no longer used for commercial purposes. Where Adelphi Mill was a cotton spinning mill, as part of the big fabric trade in this area of the country, Kettleshulme was actually home to candle-wick manufacturers. Adelphi Mill today contains plenty of amenities that you will enjoy, including both a passenger lift and a goods lift, managed and landscaped grounds, a free car park, 24/7 security, an on-site café for refreshments, a gym with preferential rates for tenants, washing up areas, and plenty of public toilets. This means that you and your customers will always be comfortable while you are on the site. 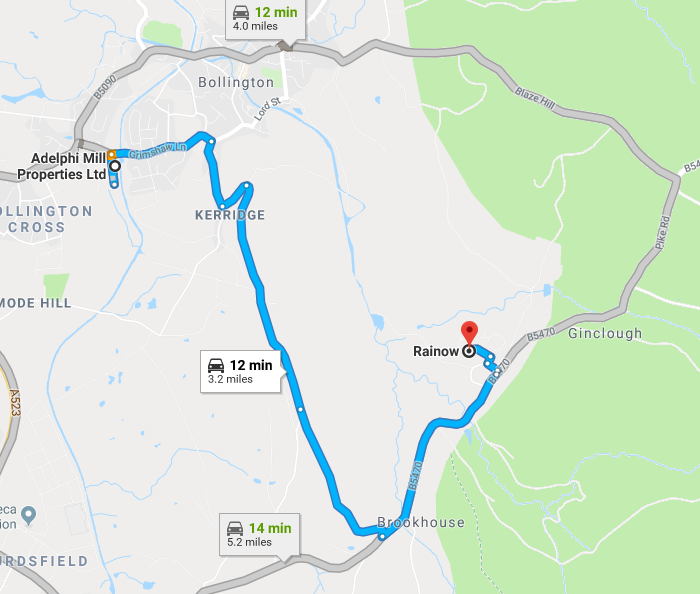 There are lots of advantages for taking up one of the offices to let near Kettleshulme, especially if you choose Adelphi Mill as your new home. Saving money, getting access to more opportunities, and using great facilities will all get your business off to a flying start. Stockport is a great area for businesses, with a growing hub which is attracting a lot of attention. It’s close by to Manchester, which in itself is a huge commerce centre. However, Stockport and the surrounding area also benefit from lower prices, which makes this a perfect location to set up a new office or warehouse space for your company. Adelphi Mill is set in a historic business area, and was once a functioning cotton mill. The grand and imposing building still retains its original exterior, designed to impress back when the cotton industry was big news here. With close connections to the roads which are still major thoroughfares today, as well as train and bus routes, it’s clear to see that this spot has been popular with businesses for generations. The Grade II listed building combines the grandeur of days gone by with a spectacular setting that allows you to feel less restrained than a city office. Not only that, but it is also much more affordable – and you can get more space for your money. The interior of the building is now divided into office and warehouse spaces, all of which are available for rent. Many of them have already been snapped up, both by local start-ups or small traders and by big name brands, creating an active community hub which attracts a large amount of footfall on a daily basis. Tenants benefit from a free, spacious car park, security around the clock, and a number of amenities which are open to the public. These include well-maintained grounds, passenger lifts, a play area for children, and a café for refreshments. The spaces which are still on offer are sure to impress – and this mill is a lot more modern on the inside than it may appear on the outside. The owners of Adelphi Mill have undertaken a multi-million pound restoration and refurbishment of the building. Where once it was all but derelict, now it is a thriving shopping and lifestyle destination for many customers. The workspaces have been updated to include phone and internet services, keypad entry for 24-hour access, and a number of other bonuses which will help you to run your business smoothly. There are many kinds of business already set up in the corridors of Adelphi Mill. Some are retail spaces, bringing in customers with the attraction of big-name brands and speciality stores. Others are services such as gyms, food and catering, printers, security, and even dental technicians. Then there are the spaces which are home to offices, supporting all manner of businesses from finance and law firms to marketing agencies. 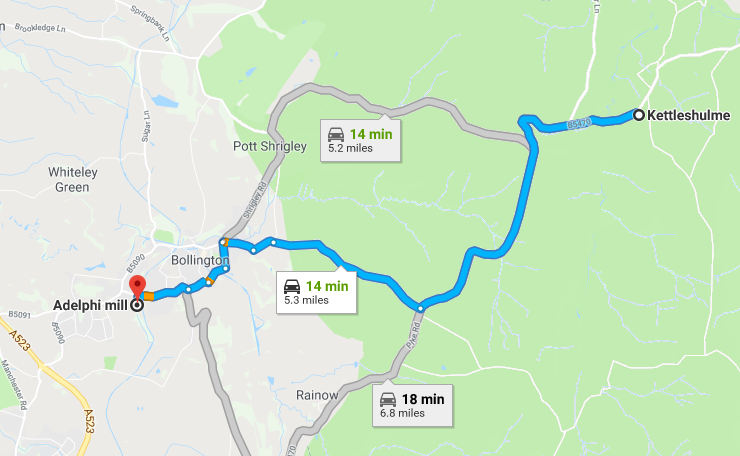 The mill is easy to reach via all kinds of transport links, and you even have the option of bringing in customers or partners via Manchester Airport. You may not even need to go that far, however, as there are plenty of opportunities for inter-tenant trading within the walls of the mill itself. Many of the business owners here are always looking for new opportunities, which means they are happy to discuss deals and cross-promotions to help you raise your profile. You might even find you can get a new supplier from amongst your neighbours! If you’re interested in snapping up one of the available workspaces in the refurbished Adelphi Mill near Stockport, then don’t wait. You can call to arrange a viewing with a member of the team, or submit an enquiry via the website. These spaces are in high demand, so choose your space soon to avoid missing out! As a business owner, you’ll often find that it is difficult to balance the books at certain times of year. While Christmas is often a great time of year to sell to customers, it’s also a time when a lot of customers are expecting deals. You’ll also be thinking about your bottom line, and how to make things add up as you head into the new year. So, how can you cut back on costs during this festive time? As retailers slash their prices to entice in customers, this often means slimmer margins on all of your products. But what if you could keep the margins the same? If you look around for deals, you might find that wholesalers are doing sales either in the run-up to Christmas, around Black Friday, or after Christmas in early January. These are all good opportunities to buy much-needed materials and resources at a low cost. Think about things that you use a lot of. Even if you don’t run a retail business but rather a service, this could mean something like getting cheaper paper and ink for your printer, or other office supplies. This may well be the most expensive time of the year when it comes to your bills. You have to have the heating on all day, the lights come on earlier and get turned off later, and you may even have extra lights and decorations taking up more electricity. Assess your bills and take a look at where you are spending the most. Could you save money by switching to another supplier? Maybe the simple threat of switching could encourage your current supplier to give you a better deal. You might also be able to get around things in smarter ways. A space heater might be more efficient, and thus cheaper, than your radiators. One powerful light could use less electricity and provide more coverage than a few smaller ones. This could take some investigation, but once you know, the savings could be benefitting you for years. If you have extra storage space, you might want to consider renting it out for the holidays. There is always a shortage of space at Christmas, as short-term business owners are looking for somewhere to store their seasonal goods, having bought lots of stock for a temporary venture. You could provide part of your storage room for a fee, giving you a bit of extra cash without even needing to lift a finger. This could be a great deal for you if the other company is successful, as they may be able to come back year after year and hire the same space from you. There are lots of community space sharing sites you could list on, or you could advertise with local business networking groups. It’s alright to celebrate, but you can definitely save some money by changing the way that you decorate your premises. Start by switching the lights on later, only leaving them on for a short time, or just reducing the amount of lights you have. As for indoor or non-electronic displays, consider using the same pieces year after year so you never have to buy new. Alternatively, you could sell them off at the end of the period during your January sales. Don’t buy too many new ones each year, and don’t go mad buying presents or bonuses for your staff. If you want to move your office in 2018, there’s still time. In fact, the end of the year might be the best possible time to do it. Here’s why – along with some other essential tips you need to know ahead of making the big decisions. It’s really important that relocating your office doesn’t disrupt your business too much. You don’t want to lose money during the move, and if you have to, you want to minimise that as much as possible. If your office is going to be closed for the day, then think about relocating at a time when you traditionally don’t see much work being done. This could easily be towards the end of the year – staff are already thinking about the Christmas break, managers might be heading out early, and before you know it, everyone has downed tools to gather around a generously-donated Christmas pudding. Close and relocate now, knowing that you won’t have lost much during the downtime anyway. It’s not practical to move office too often, so before you make a decision, spend some time to really know that it is the right one. Ensure that you are getting a good deal on the office space, that you are going to be in a location that your staff and visitors can access easily, and that you will have all of the things your office needs such as enough room, internet connectivity, and so on. Look for extras, too – perhaps you might be able to take advantage of nearby amenities if you choose a certain office space. Find a place that you feel your business will be comfortable in for at least a couple of years. It’s a bonus if there is room to expand the space later. Make sure that your customers, or anyone who needs to visit you, is informed of the change far in advance. Be clear about your moving date and your new location. Get your address changed on your website as soon as possible, and be aware that you might end up with a little slump in search engine results while Google finds you again. Be sure to also change your location on Google Maps as soon as possible, as this change can take a while to go through. Is it time to change your office furniture? Would you benefit from putting old files and equipment into storage, or getting rid of them entirely, and then renting a smaller office space as a result? Could you do with an upgrade in other areas? As you are going to be going through some changes and spending money anyway, you might as well see if you can improve things in other areas of your office as well. After all, is it really worth moving an uncomfortable, old office chair with broken arms all the way to a new location? Before you are ready for the move, make sure to create a floor plan of where everything is going to fit. If you just have people unloading the office furniture with no idea of where to put it, you will have chaos. You might get half the room done, or even almost all of it, only to discover that things don’t all fit in this configuration and you have to start over again. This can be avoided with a bit of pacing around with a tape measure, a pencil and paper, and a ruler. Business overheads can be the death of any company – they’re often the unexpected little costs that add up and up, and can end up costing more money than you can make. That’s why it’s so important for business owners to focus on managing their overheads, and ensure that they never get out of control. Here are six tips you’ll need to help navigate the Christmas season. As they get into the festive spirit, it’s common for small business owners to want to rewards their staff and customers with little treats here and there. Whether it’s bringing cakes into the office, handing out free Christmas crackers with every purchase, or just going overboard on gifts for staff, it’s easy for these costs to mount up. Instead, try focusing on small gestures that mean more but cost less – like recognising the people who have done the most for the company all year and presenting them with certificates that you can print off yourself. When it gets closer to Christmas, especially on the days directly around the festive dates, it’s often hard for staff to focus. They might even feel like they’re not in work mode at all, and instead celebrate with their colleagues and gossip about presents and Christmas dinners. Save your heating bills and your electricity by shutting the office for a few days. You can make these dates mandatory holiday, so that you don’t have to worry about it annually from now on. How much does it cost to heat your building? Be smart about it, and make sure that no heat is escaping through open doors and windows. If customers have a habit of leaving the shop door open, make sure your staff are instructed to close it as quickly as possible! Consider using space heaters instead of old, inefficient heating systems that came with your building. This could save you a lot over the whole of the winter. If you pay for warehousing to store goods, now is the time to really get rid of some old stock. Hold a massive sale just before Christmas to get ahead of other retailers, whose sales will normally begin on the day after Christmas. Use this chance to get rid of as much stock as possible, and you might be able to reduce the size of your storage – saving you money month on month for the future. If your storage isn’t flexible, you can save there too by switching! When are your traditionally busiest days? When are your traditionally slowest? Use sales figures from previous years to analyse when you should have all hands on deck, and when you should send some of your staff home. This is especially helpful in a retail store with a rota, so that you can operate the shop with a skeleton crew during slow days. Around Christmas, many companies will put on big sales. This might include the software company you subscribe to, the factory that makes your staff uniforms on wholesale, the supply chain businesses where you source your stock, and so on. This time of year is a great time to look at your current overheads and see if someone or something else can serve you for cheaper. Make sure you always think carefully about your overheads around Christmas. It’s so important to save on costs where possible, so you can continue to trade into the new year and beyond. If you don’t spend much time outside in the winter, you’re missing out. It might be cold, but wrap up warm in a coat and gloves and get yourself down to the Macclesfield Canal. There’s a great nature walk alongside it which not only shows you that nature really does still thrive in the winter, but also takes you past some of the great historic sites of Macclesfield. The city was built around the canal as this was where boats could come to take goods out to other docks and ports, allowing traders to sell their wares. There’s a lot going on. There’s one site in particular that you might want to stop off at, which is this impressive Victorian cotton mill. Along with sister site Clarence Mill, the buildings retain their grandeur from times gone by, as they have been kept in fantastic condition. Not only that, but inside Adelphi Mill you will find enough to keep you occupied for the whole day. Rather than being preserved as an historic building inside, it has been converted to modern retail and office spaces. This means you can shop to your heart’s content, as well as being able to enjoy a café on site, go to fitness classes, find new services that you might need, and even drop the kids off at a play area if you have any with you. You’ll be surprised at just how much this one building contains. The nature walk might be a brisk stroll for you to enjoy, but you can take things up to the next level with a river tour which has a bit more energy to it. Take a ride on a canal boat all the way down and back up again to see what it’s like to travel on this man-made waterway. At one time, these waters would have been like our main road – you can imagine what it would have been like if this was your main transport option! Then you can grab a bike to hit the trails again, only this time a little faster. If you’re looking for great views, then they don’t come much better around here than the Tegg’s Nose Country Park. The winter sunshine really adds even more beauty to the natural vistas, with places to sit along the way if you’re not as fit as others. There’s also a new café on site, so If you have been before but didn’t get a chance to sample their tea and cakes, then now is definitely the time. What could be better than a cup of hot chocolate or coffee after a heartening walk to look at a gorgeous view, bundled up against the cold? If you’re looking for somewhere a bit more indoors, then Adlington Hall is a great site to visit. Tea rooms, a maze, and beautiful gardens might be enough to tempt you out of the house itself, but this historic family home which has stood for over 700 years certainly has a lot to offer in itself. Take a tour of the house, but make sure to check ahead in advance as it is regularly booked out as a wedding venue. On the other hand, it also frequently plays host to bazaars, fetes, and other events that might be a bonus to your visit! If you feel bored sitting at home this winter, get your coat on and check out one or two of the items on this list. You might find a lot more than you bargained for – perhaps even a new favourite spot to visit again later.